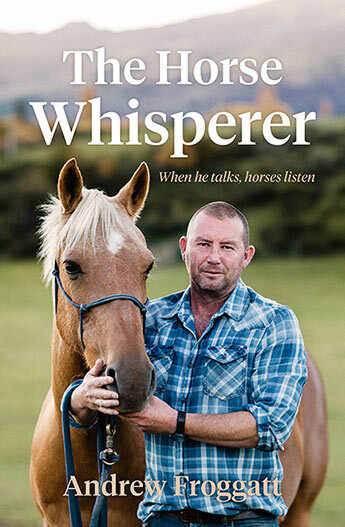 The remarkable life of 'horse whisperer', Andrew Froggatt, who works with horses written off as 'un-trainable' by others and achieves great success. Andrew Froggatt has a special skill: he can train the wildest horse. Over the past twenty-five years he has worked with thousands of horses, from ones who have never encountered a human being before to top level show horses and racehorses. A master at building relationships with these wonderful animals, earning their trust and respect, he's developed a tried and true system for bringing out the best in troubled and difficult horses. Andrew also uses his skills to work with troubled youth as well as run highly successful leadership courses with corporate managers for an impressive list of clients: All Black coach Steve Hansen, the Super 15 rugby coaches, cricket coaches and a number of large corporations. By telling the stories of his favourite horses, Andrew shows how he can turn rogues into winners.